One stormy night, lighthouse keeper Tom Curry (Temuera Morrison) finds on the beach the unconscious Atlanna (Nicole Kidman), queen of Atlantis. He nurses her back to health, and love blooms between them, producing an inter-species son, Arthur. Soon Atlantean warriors storm the lighthouse to claim bac­­­­­­­k their queen to fulfill her part in an arranged marriage. Knowing they won’t stop until she returns to Atlantis, Atlanna leaves Tom and the baby Arthur but entrusts the training of Arthur to her loyal adviser Nuidis Vulko (Willem Defoe). 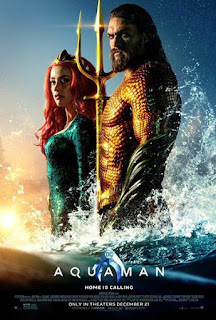 Though an heir to the underwater throne, the grown up Arthur (Jason Momoa) would rather go on with his happy life on the surface, but circumstances compel him to rise and save the people of the land and sea from the machinations of his half-brother, now Atlantis’ king, Orm. High on production design and visual effects from great CGI, Aquaman is one of those movies you would want to see “the making of”. Director Wan wanted more than anything else to create an underwater superhero world that could match if not outdo other superworlds. When wedding inventiveness with whimsy entertains, why bother about science? Just put cynicism on hold and enjoy this origin story. Imagine a giant octopus playing the drums—one for each tentacle! Picture humongous crabs and deadly lobster claws, sharks and gigantic seahorses at war in heavy military armor and you’d wonder, Where the heck do the Atlanteans get all that metal? Atlanteans are also conveniently amphibian—can walk for hours in the desert without fainting from thirst, and can talk underwater without exhaling bubbles. Balancing these inventive fantasyscapes is the family drama that highlights performances and characterization. 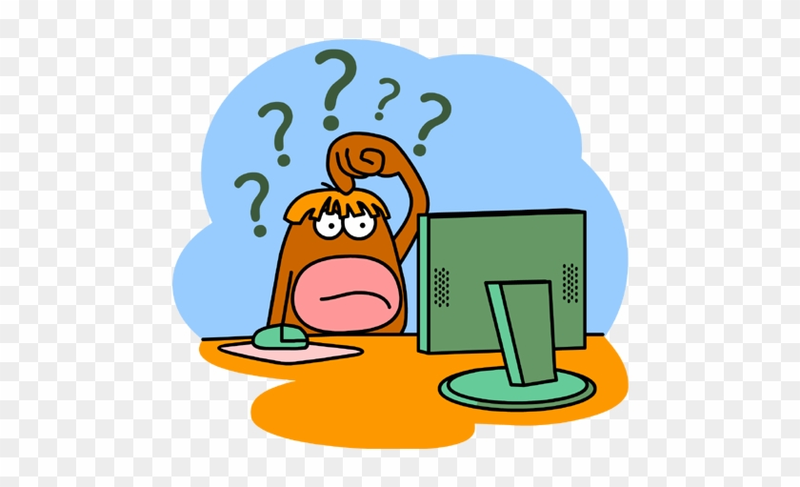 ,,,but our archive is here! Clicking the link will lead you to our new web address, which will contain all reviews from May 29, 2018 onwards. 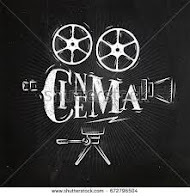 This blogsite will now serve as our archive of over 1000 film reviews spanning 10 years, from March 28, 2008 to May 28, 2018. 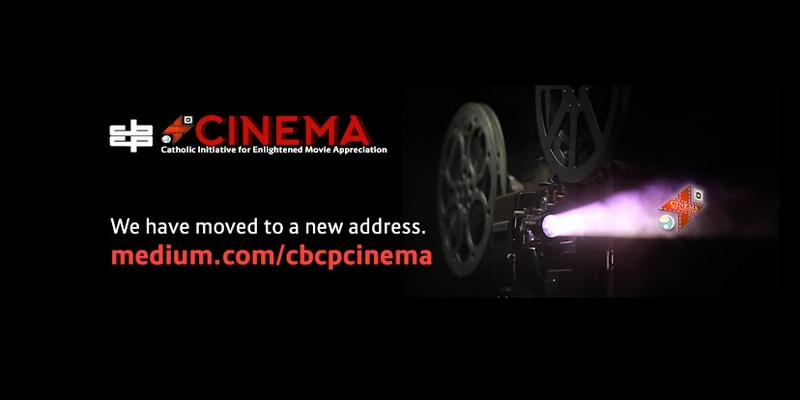 Thank you and we hope to see you at our new home online at https://medium.com/cbcpcinema. The guy who played Thanos in The Avengers is back, but this time, he’s not Thanos but grief-stricken Cable (Josh Brolin) who returns from the future to exterminate young Russel (Julian Dennison). The boy it turns out is to become the ruthless Firefist who will kill Cable’s family and many others. 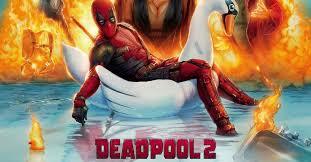 But mercenary assassin turned superhero with a foul-mouth and sick humor Wade aka Deadpool (Ryan Reynolds) saves the boy. He assembles X-Force, with Colossus (voiced by Stefan Kapicic), Domino (Zazie Beetz), and Negasonic Teenage Warhead (Brianna Hildebrand) to stop Russel from becoming the annihilator. Deadpool 2 gathers several Marvel superheroes, including the X-Men, with Wade pejoratively referred to as an X-Men trainee. He flunks the training of course, because he defies discipline. And with his penchant for “breaking the fourth wall”, Wade again talks directly to the audience as he lampoons Marvel and DC superheroes, and even Disney. He ridicules Frozen, Yentl, RoboCop, Avengers, X-Men and many more. People who are not familiar with these movies may get lost and find the plot nonsensical. Wade basks in his craziness and the rest patiently allows him to do so. What aids it all is good timing. Ryan Reynolds as Wade is crass with the stoic Colossus who by the way is CGI, but on screen together, they elicit so much laughter. The tempo is as eccentrically unpredictable as the twisted humor of the movie. Russel’s hands look genuinely on fire and burning like steel. The Juggernaut is a bit grotesque, it looks like a cracked steel egg that is more hilarious than foreboding. The fight scenes, albeit computer generated, are interspersed with Wade’s sick humor that they are not at all boring. And the soundtrack is as absurdly appropriate. PS: CINEMA notes one subtle message so important it opens and closes Deadpool 2: we need family, we need to belong. Family (or the tragic loss of it) serves as motivation for the story arc: as Wade’s fiancée Vanessa gives up her IUD (intra uterine device) as a gift to Wade, the pair decide to start a family but Vanessa is killed in an attack; Cable is out to hunt down his family’s murderer; the orphans, deprived of family, are exploited in the mutant re-education center where Domino, herself orphaned, was raised; 14-year-old Russell, who almost becomes a killer, cannot trust anybody as his surrogate family in the orphanage abuses him. In the end, Wade himself says it loud and clear: we need family, we need to belong. Nakatakdang ikasal si Lia Marquez (Bea Alonso), isang public school teacher, kay Philip Cordero (Paulo Avelino) na kumakandidato bilang alkalde ng Cebu. Tinututulan ng mga magulang ni Philip (Christopher de Leon at Cherie Gil) ang pagpili ng binata kay Lia, pero ipaglalaban ni Philip ang pagmamahal niya rito. Sa kasagsagan ng pangangampanya ni Philip at Lia, papasok si Wado, dating kasintahan ni Lia, at sa kagustuhan nitong makipagbalikan sa dalaga ay sasakyan ang kanyang pagiging isang engineer upang mapasama sa isang malaking proyektong makakatulong sa kampanya ni Philip. Matigas na tatanggihan ni LIa ang panunuyo ni Wado na sobrang bilib sa sarili, pero dadating ang puntong magdududa na rin si LIa kay Philip gawa ng isang lihim na mabubunyag ni Wado tungkol sa nakaraan. Maituturing na ring “engaging” ang kuwento sa dramang Kasal, dahil gawa ng marubdob na pagganap ng mga pangunahing artistia ay nakuha nito ang interes na manunuod. Maaaring hindi nalalayo sa katotohanan o realidad ang mga pangyayaring nasasaad sa Kasal, kaya lang, dahil sa ito ay isang pelikulang tumatakbo lamang sa loob ng dalawang oras, “mapupuruhan” kayo ng mga eksenang emosyonal na bagama’t kapani-paniwala ay bahagyang nagiging artipisyal sa dami. Natatangi ang husay ng cinematography, at katambal ng akmang tugtugin at masusing editing, ay nakukuha nito ang tamang damdamin hinihingi ng eksena sa manunuod, habang nailalabas naman nito ang ganda ng pinapanood—tao man, pangyayari, o lugar. Hindi matatawaran ang galing ni Alonzo sa pag-emote, ngunit di naming mapigil na magtaka kung sinadya bang gawin siyang payat at payak ang hitsura para sa papel ng isang public school teacher.